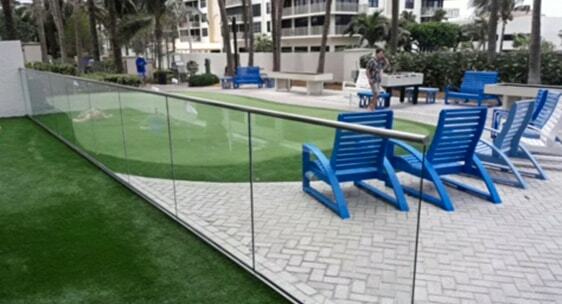 Marriot’s Oceana Palms in Riviera Beach installed our fully frameless glass railing as part of their outdoor renovation. 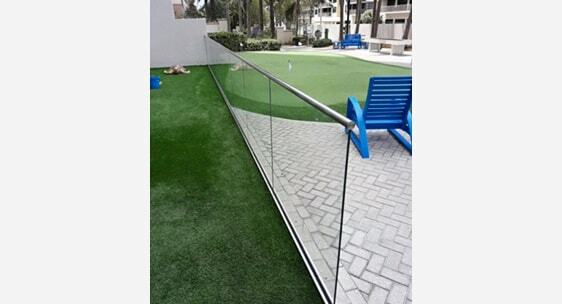 The railing was used in a unique application: as a clear, stylish barrier between the hotel and the mini putting green area. It is a perfect complement to the modern aesthetic of this oceanfront hotel.